Categories: commercial building inspection report, Real Estate Investing // Tags: commercial building inspection report, Real Estate Investing. Do you want to maximize your commercial real estate investing? Of course, you do. More and more lenders are requiring Property Condition Assessments (PCA), also known as a commercial building inspection report. The PCA is ordered to protect their loan and investment when buying a commercial building. Nationwide Commercial Inspections, LLC (NCI) is a trusted provider of these reports. For decades, residential bankers and lenders have required a mechanical inspection of houses, villas, condominiums and apartments to qualify for the loan. The lenders knew that the condition of the property was directly related to the current and long term value. This is particularly valuable information to have when the lender is loaning up to 97% of the value of the house to the borrower. Lenders want to maximize the due diligence and ensure their institution is properly sheltered in the case of a market downturn and/or the deferred maintenance items of the property. 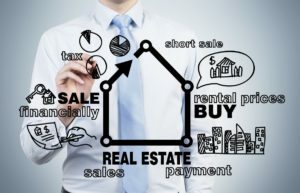 Real estate investing will be maximized because the PCA report findings have the ability to transfer some of the financial burdens to the seller prior to closing. The purpose of a PCA isn’t to cause the real estate agreement to be renegotiated. However, in almost all instances, the results of the PCA offer valuable information that enables the buyer to negotiate the price to cover imminent repairs as well as short- and long-term improvements. A recent $1.75M real estate acquisition included a Property Condition Report (PCR) that was ordered by the lender. The results were over $235k worth of required imminent repairs as well as recommended short- and long-term improvements. Neither the buyer nor seller were aware of these building deficiencies during the purchase negotiations. Because the lender required it as a part of the loan qualification, the purchase price was lowered by $115k. 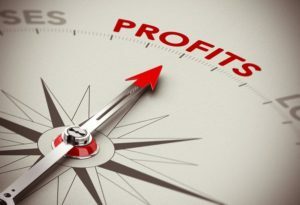 The result was a savings of 6.6% and offered the buyer increased cash flow and also allowed the buyer to borrow on the required improvements. A banker, lender and/or real estate broker ordering a Property Condition Assessment from NCI is a value-added benefit for any real estate investing opportunity. 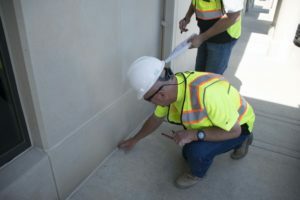 Nationwide Commercial Inspections, LLC utilizes their architectural, engineering and construction expertise to create and develop high-quality Property Condition Assessments (PCA). These commercial building inspection reports are customized for each type of real estate: office, retail, flex-space, industrial, hospitality and healthcare. If you are interested in real estate investing, contact us at 913-667-7774 or visit our website at www.nwc-i.com.